Elgood’s Award winning beers are available in our tied pubs across Cambridgeshire and are also stocked by the following discerning outlets. 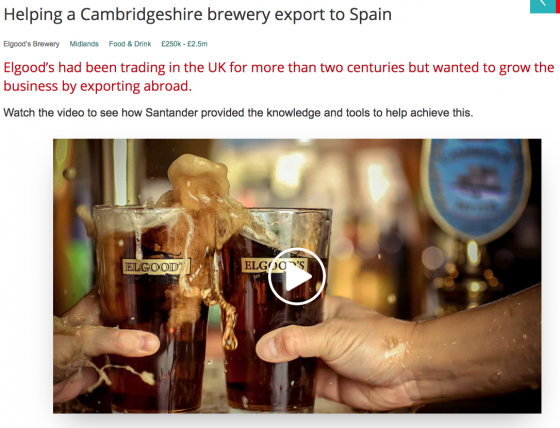 Elgood’s is delighted to be exporting our beers to Spain, please see the following video, courtesy of Santander. Elgood's uses distributors in the UK and Internationally to send and distribute our award winning beers throughout the world.